UPDATE: Not shockingly, it didn't take long for this report to be refuted. A number of outlets are questioning it's veracity, but according to The Hollywood Reporter's Borys Kit, who is plugged into this sort of thing, people are getting ahead of themselves. He tweeted, "My sources tell me Ava DuVernay doesn't even have an offer to direct BLACK PANTHER (yet, at least), so people should relax a bit." ORIGINAL ARTICLE: She’s been linked to the project a couple of times, but according to one new report, Selma director Ava DuVernay has been hired to direct the upcoming Black Panther for Marvel. The character will make his first appearance in the MCU next year in Captain America: Civil War, and his solo film will follow in 2018. This report comes from MCU Exchange, which appears to be a relatively young outlet, one we’re not familiar with and without much of a track record to go on. So right now this is a rumor, a story to be taken with a grain of salt. However, with earlier stories reporting that DuVernay was in talks for the job, this could very well turn out to be true. If that’s the case, hopefully we’ll hear something official from Marvel soon. 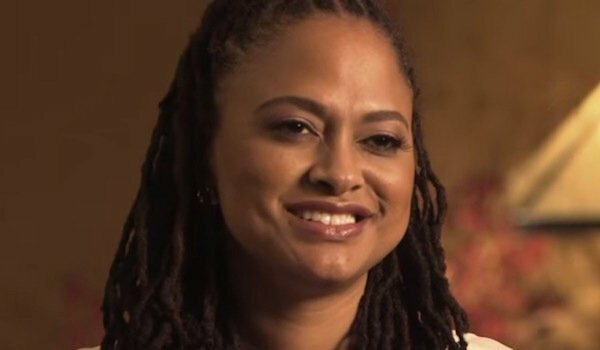 If this does turn out to be legit, DuVernay would not only be the first woman to direct a movie for Marvel, she would also be the first person of color to take the helm on one of their films. Both of these are things the studio has come under fire for in the past. Patty Jenkins was originally hired to direct Thor: The Dark World, though she was ultimately replaced by Alan Taylor (Terminator Genisys). At the moment, there isn’t a ton of information about Black Panther floating around aside from the basics. Get On Up star Chadwick Boseman plays T’Challa, the king of the fictional African nation of Wakanda. A technically advanced nation, rich in the metal Vibranium, Wakanda was mentioned in Avengers: Age of Ultron earlier this year. That film also introduced Ulysses Klaw (Andy Serkis), one of Black Panther’s traditional adversaries, which laid the groundwork for introducing the character. Rumors making the rounds state that, when we see Black Panther in Civil War next year, he will be separate from the main action of superheroes fighting each other, and "on the hunt" for the Winter Soldier. He’s not the only one looking for Bucky Barnes (Sebastian Stan), as Captain America (Chris Evans), along with his new BFF Falcon (Anthony Mackie), has also been looking for his childhood pal. It seems doubtful that Black Panther is after Bucky for anything good, they’re probably not going to wind up having a drink and rehashing the good old days, and T’Challa is likely out for a little revenge. One theory is that, during his time as a brainwashed assassin, Bucky may have killed T’Challa’s father, King T’Chaka, though Klaw murders him in the comics. Black Panther doesn’t hit theaters until July 6, 2018, but according to this report, part of the reason why DuVernay was hired so early on (again, if this turns out to be true) is so she can spend some time on the set of Civil War, which is filming now. This move makes sense. Though she did promotion for Spider-Man 2, and is a fantastic director, she’s never worked on anything of this scope and scale before. She’s said elsewhere that she doesn’t have a ton of knowledge in general about superheroes, so this could be a good way to acclimate her to the MCU.